Welcome Back, The Daily Rider! The interior of the new Daily Rider. Photo by Karen Ramsey. Karen Ramsey has been a DC area resident off and on since 1994 and is currently a denizen of Trinidad neighborhood. The Daily Rider has been a fixture in the 1100 block of H Street NE since early 2012. In December, the shop closed in anticipation of opening at their new location, 600 H Street NE, in The Apollo Building– along with Solid State Books and the Fancy Radish. The day has finally arrived and the shop will open on Thursday, February 1, 2018. To celebrate opening the new shop, there will be an open house for customers during business hours today Wednesday, January 31st. Knock on the door and the staff will be happy to show you around the new space. 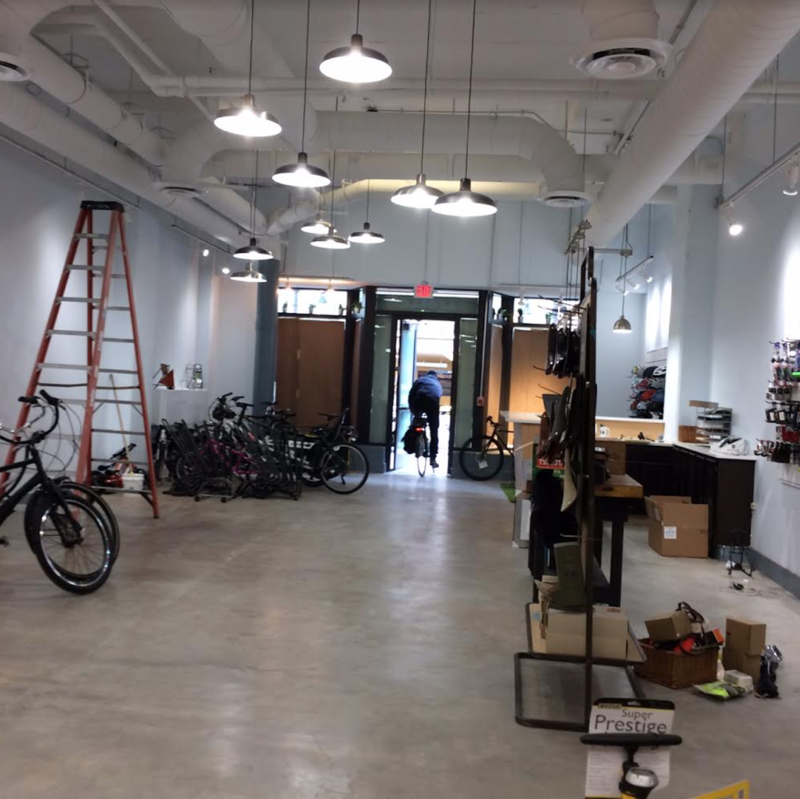 The new location features expanded space for bicycle repairs that will accommodate up to four mechanics working at a time; a customer waiting lounge; expansive areas for bicycle and equipment retail displays; storage area for additional bicycles and parts on site; and entryways large enough to easily enter on the shop on bicycle. Sunday noon – 6:00 pm. The shop can be reached at (202) 396-0704. Welcome back to H Street, The Daily Rider!